Selecting the best treadmill can seem like an impossible task. For one thing, the best treadmill for a casual user will be different from the one a serious runner needs. And when it comes to the wide variety of treadmill brands, it can be almost overwhelming to try and sort through the many treadmills. On average, we would not recommend treadmills under $500. There is a level of quality is lacking in the cheapest of treadmills, which are made with materials of questionable durability. On average, you can expect to spend between $1,000 – $1,500 for a reliable treadmill that will last you over the years. We have found there are three treadmills in particular which consumers and our testers have dubbed “The Best Treadmills Of 2019”. Rather than being captive to time of day, weather conditions, or other considerations, many of us prefer the ability to work out at home any time we choose. A home treadmill is a key part of any home gym. It allows the user to pack in a full cardio workout into any sized space. We have chosen the best home use treadmills, pulling from a variety of budgets to accommodate diverse needs. We considered the sturdiness of the frames, how cushioned the deck is, the strength of the motor, and many other features. For more about our selections, read our entire review of the best home use treadmills. One of the first something you should know about running treadmills is that they are not only good for runners. Instead, the best running treadmills indicate certain qualities that can apply to people of all fitness levels. Qualities like powerful motors, commercial-grade belts, and heavy-duty frames help set the best running treadmills apart. There are other things we know runners need from a treadmill. Runners need high shock absorption from their treadmills so they can protect their joints. For those runners training for half or full marathons, having a variety of training programs will help push them to greater levels. For more about our selections, read our entire review of the best running treadmills. When looking for a folding treadmill, the possibilities are almost endless. The downside is, many of those available folding treadmills are of poor quality. A cheap folding treadmill may not only not last all that long, but it also could be dangerous if it malfunctions while you are on it. The perfect folding treadmill for you will have sturdy construction, the ability to lift the deck easily, and a secure way to keep the deck in the folded position. So, while we looked for the best folding treadmills, we made sure we took the above considerations into account. We chose the best folding treadmills from a range of prices to help accommodate a variety of budgets. For more about our selections, read our entire review of the best folding treadmills. Want to hill train inside or just burn calories 5 times faster? Then you want to add an incline trainer to your life. The incline trainers we’ve selected as the best incline trainers currently on the market. These top machines can act like a traditional treadmill but can reach inclines of 40% and a decline of -6%. No regular treadmill is going to be able to reach those incline levels! The best incline trainers take up a good deal of space. So you will need to carefully check the dimensions of your selected incline trainer versus the space you want to put it in. For more about our selections, read our entire review of the best incline trainers. There is a difference between an inexpensive treadmill and a cheap treadmill. A cheap treadmill is badly constructed, made with flimsy materials, and limited features. An inexpensive treadmill is a more streamlined version of a more costly treadmill. We kept that in mind while when we chose the best treadmills between $500-$700. Common among the best inexpensive treadmills is good treadmill belts, simple but easy consoles, and the ability to fold. They also needed to be durable and come with decent warranties so your investment was protected. For more about our selections, read our entire review of the best treadmills between $500-$700. The best treadmills under $1,000 are a good balance of affordability and quality. We have chosen treadmills for their high-quality that is not compromised by their lower prices. These treadmills have clean, easy-to-use consoles, a good variety of workout programs, and can be used by walkers and joggers without wearing out the treadmill. Users can do some running on this treadmill, but these treadmills aren’t quite up to regular running. We found the best treadmills under $1,000 came from some of the top treadmill manufacturers. This isn’t surprising as these brands have spent years turning out quality products. For more about our selections, read our entire review of the best treadmills under $1,000. The start of the running-quality treadmills, the under $1,500 category is where many of the high-tech treadmill features start to appear. From touchscreens to wireless heart rate monitoring chest straps, these treadmills can appeal to a wide range of people with a variety of fitness levels. A distinct jump in build quality is also seen in this category. 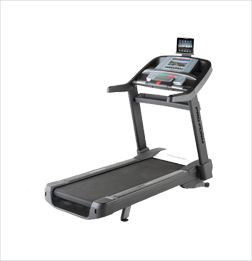 Larger and sturdier frames are usually seen at this price point, providing greater stability for treadmill users. For more about our selections, read our entire review of the best treadmills under $1,500. Once you move beyond the $1,500 treadmill price range, you can expect larger screens and greater entertainment options offered. Incline ranges increase as well as the number of workout programs on treadmills in this category. It took quite a lot of research and treadmill testing to find the best treadmills under $2,000. While many treadmill manufacturers have tried to add fancy features while neglecting to upgrade things like things like quality construction and longer warranties. For more about our selections, read our entire review of the best treadmills under $2,000. When looking for treadmills in this price range, consumers should expect a high level of quality. 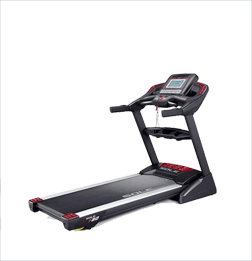 Light commercial quality treadmills are available around this price range. While not up to the heavy usage of a commercial gym, these treadmills are durable enough for gyms located in small offices, apartment complex gyms, and for families looking for a great treadmill that will suit everyone’s needs. Even with their increased durability, our top 3 treadmills for under $2,500 can still fold up. So you don’t lose out on space while using a top-of-the-line treadmill. For more about our selections, read our entire review of the best treadmills under $2,500. There are many components to consider when looking for your perfect treadmill. Choosing how much you are going to spend is a good way to initially narrow down your treadmill options. But it will still leave you with an almost overwhelming number of treadmills to sift through. That’s when you need to consider other factors which can help you choose the best treadmill for you. From function to high-tech extras, we have covered all the features you should consider as you look at treadmills. We hope as you read through our guide, you will be able to determine what you need and want from your new treadmill. Under $500 – In general, the best treadmill manufacturers do not make treadmills under this price point. This is because it is difficult to build a quality treadmill so cheaply. Treadmills under $500 are generally made with inferior parts and have limited features so that the cost can be kept low. Between $500-$700 – There are a few treadmills in this price range which we feel confident in recommending. 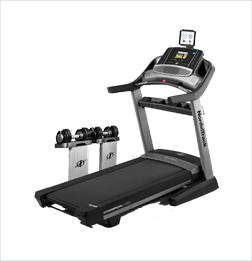 Like treadmills under $500, many treadmills around this price point lack the overall build quality which would make the treadmill an acceptable option. Under $1,000 – Blending affordable treadmills with some of the better features of more expensive treadmills, treadmills just under $1,000 can be a good option under certain circumstances. Two daily users are usually about as much as you want to tax these treadmills with if you want to have your treadmill last. Under $1,500 – From this price range, you can find quite a few quality treadmills. Runners, in particular, should start looking at this price range and above, as these treadmills are more powerful and built much stronger than cheaper treadmills. $2,000 and above – Around this price point and above, you can find more specialized treadmills. From the Matrix treadmills which allow you to choose your console to NordicTrack’s incline trainers, you can find more uncommon features when you budget for a treadmill around $2,000 and above. If you find your perfect treadmill is outside of your budget, remember that the top treadmill manufacturers have financing options. The standard finance option allows buyers to have 18 months interest-free to pay off their treadmill. After that time, interest will be applied to the remaining total. A key part of choosing the best treadmill is assessing its functionality. Our treadmill reviewers have spent a lot of time with treadmills and determined some things to look for when assessing the functionality of the best treadmills. Console responsiveness – Whether you are using a console with a touchscreen display or an LCD screen, responsiveness is important. We looked for rapid responses from consoles with minimal lag between pressing a button and the treadmill’s response. Motor action – When running, the treadmill motor should run quietly, especially with a motor size of 3.0 CHP and lower. Larger motors will be louder when in action, but the sound should be consistent so it is not disruptive. When inclining or changing speeds, the motor should keep the treadmill running smoothly so you aren’t jolted while working out. Weight of treadmill – The best treadmills generally are on the heavier side as they are made with sturdy metal frames and heavy-duty motors. Some of the budget treadmills we recommend are light, but overall, your treadmill should weigh around 200 lbs to give it the weight to remain still as you workout. Best use – Not all treadmills are created equal. The treadmills which made our best treadmills list can all handle all activities from walking to running; however, they are not all well-suited for joggers and runners. Partly due to comfort issues but mostly due to construction. Be sure to look at treadmill $1,500 and above if you are looking for a good running treadmill. Emergency stop – Every good treadmill should come with a magnetic key. When the key is not in position, the treadmill should not be able to turn on. It is essential for the key to work. If you ever slip during a workout and have the emergency stop cord attached to you, the treadmill will stop immediately and mitigate any injuries. No matter how little room you have in your home, there is a treadmill which can fit into your home. Depending on how much space, you may have some restriction in your options. Limited space – If you are tight on space, you will want to look closely at a treadmill’s footprint. It will give you measurements of how much space the treadmill takes up when in use. The more affordable treadmills, ranging between $500 – $1,000 are generally smaller in size and easier to move in case you need to move them in and out of position to work out. Dedicated space – Should you have dedicated space for your treadmill, then you can look at a wider variety of options. Incline trainers, for instance, do not fold and have wider bases to keep the machines stable as they reach high incline levels. With a wide disparity in prices, it is hard to say what features all have in common. But there are some that are common and we will identify if a particular feature is only common in more expensive or less expensive treadmills. Folding with a hydraulic system to make it easy to raise and lower. Wheels to make moving the treadmill easier. LCD screens under 7” in inexpensive treadmills. Touchscreen displays common in NordicTrack and ProForm treadmills, as well as higher-end treadmills. EKG handlebar grips for basic heart rate monitoring. Wireless heart rate monitoring chest straps tend to come with more expensive treadmills, at least $1,500 and above. Treadmills have a starting weight capacity of 300 lbs. The best treadmills should start with 30 pre-programmed workout programs. Speakers so you can be headphone-free when working out. Fans with speed options so you can stay cool. Apps that can sync with your treadmill to add functionality. With apps like iFit, you can access more programs, meal prep advice, and personal coaching help. Multiple holders to place your water bottles and devices. Selecting the best treadmill for your home can be a difficult process. Below is a summary of our top 5 best categories, pulled from a variety of price ranges. We hope our review of the best treadmills of 2019 has helped you to pick out the right treadmill for you. Our reviewers have spent hundreds of hours testing and researching treadmills so you can have the best information at hand. Whether you are rehabbing an injury, a serious runner, or someone who just wants a good treadmill for walking, we are sure you will find a good choice from our best treadmill picks.